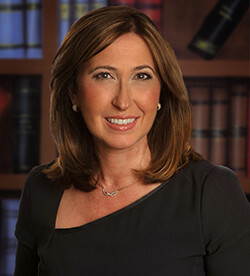 Gayle is also experienced with complex cases involving medical malpractice, construction site accidents, and products liability. Although most of her litigation experience was acquired representing plaintiffs, she has previously worked as in-house products liability counsel for an automobile manufacturer. Outside of her legal career, Gayle is also involved with advocacy and community service. She is a former President of the Special Education Parent Teacher Association for her school district and is concerned with developing social and vocational opportunities for special needs children. In addition, Gayle currently serves as an elected Trustee of the Board of the Cold Spring Harbor Library and Environmental Center where she heads the Insurance and Policy Review Committees. She has previously served as both Treasurer and Secretary of the Library Board.